(Silver Spring, Md.) – A man, a myth, a legend? Animal Planet’s FINDING BIGFOOT investigates new theories and never-before-squatched locations as the bigfoot team, Bigfoot Field Research Organization (BFRO) president Matt Moneymaker, researchers James “Bobo” Fay and Cliff Barackman and skeptical scientist Ranae Holland, return with explorations so big they have to recruit family, friends and others to join the search parties. 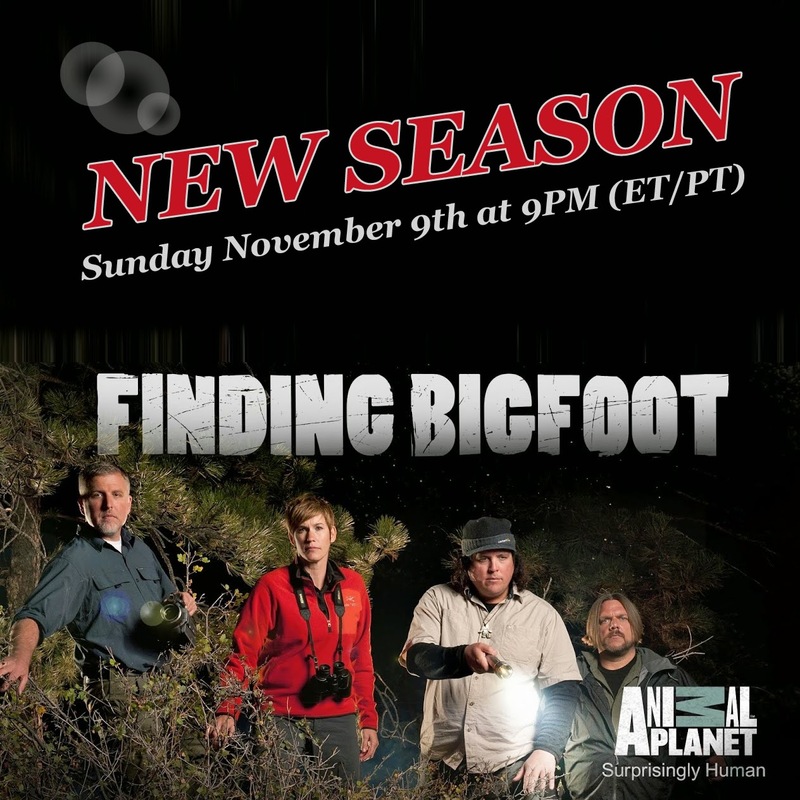 All-new episodes of FINDING BIGFOOT return to Animal Planet beginning with a two-hour special on Thursday, March 31, at 9 PM ET/PT. In the March 31 premiere “Supernatural Bigfoot,” the bigfoot team heads to North California to meet up with another group of bigfooters – the Supernatural Bigfoot Group – which believe the only explanation for the lack of physical evidence is that bigfoot must be beyond this world. The supernatural group consist of Greg Newkirk and Dana Matthews. For you long-time readers you will remember Greg Newkirk was on our radar over 5 years ago when we first covered his online zine Who Forted?, an excellent zine with great writing and interesting articles. Their college-level humor was a refreshing take on all things paranormal. Looks like Mr. Newkirk has taken a more serious approach to Fortean phenomena with a two new websites; Planet Wierd, a website chronically his adventures with Dana Matthews and a weekly aggregation website of paranormal news at WeekInWierd.com. You may also remember Mr. Newkirk for his Bigfoot documentary The Bigfoot Hunter Still Searching, and our review here. Around May of 2014 the Canadian Press syndicated a story about a mask that was lost for 75 years. In the article it described a James Leon's 16-year journey to recover the Sasq'ets mask. The way he finally re-discovered the lost artifact was serendipitous. 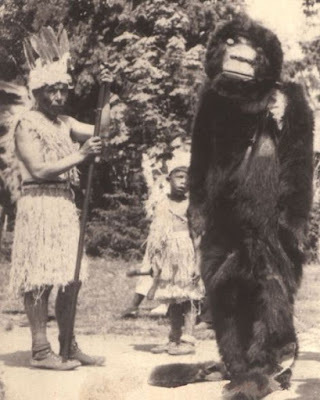 Leon was at a repatriation event for another First Nations artifact held by the Vancouver Museum when he asked the lady sitting beside him if she knew of the ape-like mask partially covered in bear fur. "Her eyes lit up and she said 'We were just looking at that mask the other day.' And they were gracious enough to go get it for me," he said with a chuckle. The mask disappeared in 1939 from Sts'ailes First Nation, near Harrison Hot Springs in B.C. 's Fraser Valley. Community elders told Leon that the mask had been taken by J.W. Burns, a teacher at the Chehalis Indian Day School, and a man obsessed with the sasquatch legend. 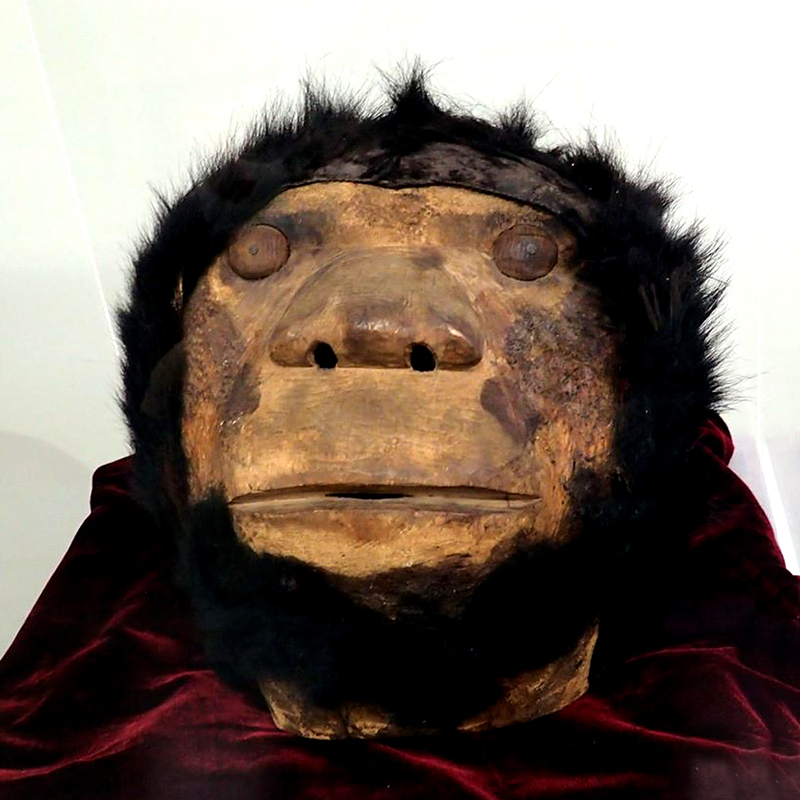 Burns, who is often credited for bringing the word "sasquatch" into common use, donated the mask to the Vancouver Museum. Cliff Barackman posted on his Facebook page that the Season 9 premier episode of Finding Bigfoot will take him to the Sts' Ailes First Nations Reserve in British Columbia. Although the First Nation people refer to the mask as sasquatch, some skeptics think we should be more cautious how we reference these artifacts. Sharon Hill of Doubtful News writes, "The article makes a connection to Sasquatch as described by indigenous people but I’m not clear how solid that connection is. How do we know that the mask represents the same entity that we now refer to as “sasquatch” or Bigfoot? Or are we jumping to conclusions?" She ends the article with a warning, "It’s a potential hazard to jump to conclusions and call this a representation of Sasquatch." It is not clear if the warning is for the readers or the aboriginals who actually refer to the mask as a representation of sasquatch. In fact, in the article itself, a representative of the Sts' Ailes people makes a direct reference to sasquatch. "We do burning for the sasquatch. It's our belief that his primary role is to ensure that the land is being taken care of. Because everyone of us, as Sts'ailes people, we carry an ancestral name, a rich name from the land." The video below is a video uploaded by Tom Yamerone. Known for his Bigfoot Songs. 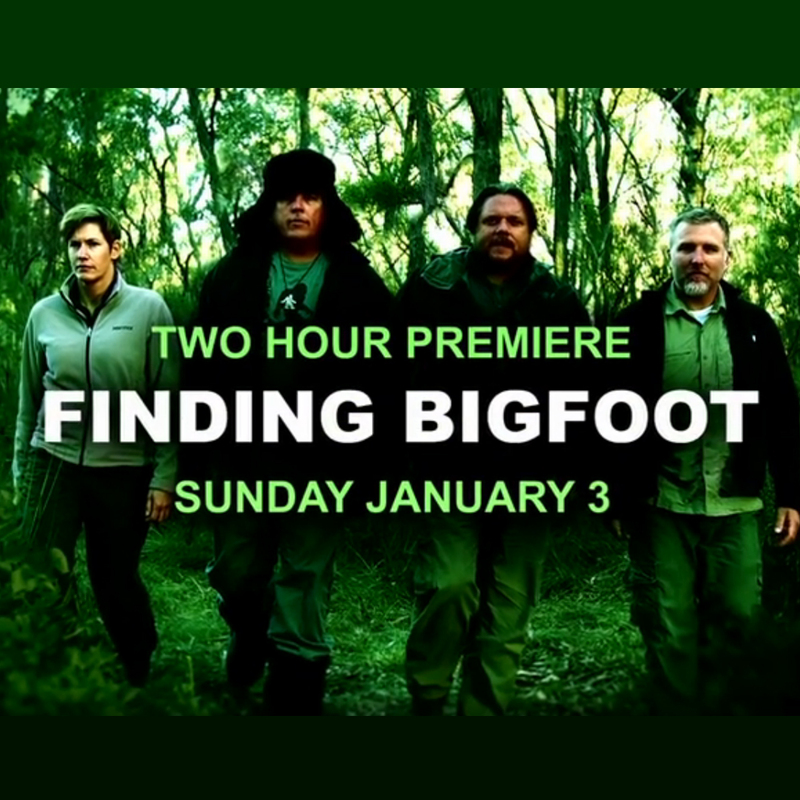 The Finding Bigfoot teams for a brand new season of 'squatch hunting in a two-hour premiere, Sunday, Jan. 3 at 9/8c! Animal planet is alreading promoting the next season of Finding Bigfoot with a video titled Get Ready to Believe. Watch the video below as well as the press release with details of the next season's episodes. Season Premiere Determines Which is the Better Habitat for Bigfoot: The American or Canadian Bush? (Silver Spring, Md.) -The natural world is full of discoveries to be made and truths to be uncovered. 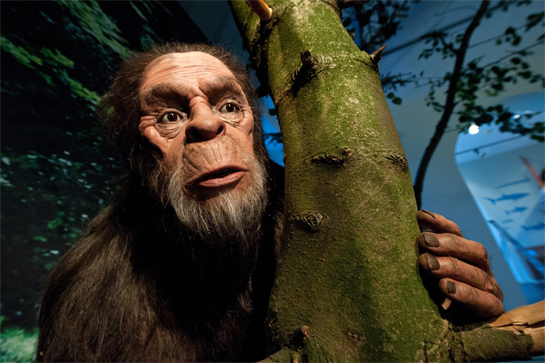 However, there is one legendary animal mystery that sparks passion unlike any other: the existence of Bigfoot. Animal Planet’s intrepid FINDING BIGFOOT team travels to the corners of the globe in hopes to, once and for all, prove that the elusive bigfoot (aka sasquatch) is out there. The new season of FINDING BIGFOOT premieres Sunday, January 3, from 9-11 PM (ET/PT), as Animal Planet’s curious crypto-zoological team sets foot in new locations with modern technologies to progress the search. And in the two-hour premiere, Bigfoot Field Research Organization (BFRO) president Matt Moneymaker, researchers James “Bobo” Fay and Cliff Barackman and field biologist Ranae Holland split up to determine the better sasquatch habitat: the American or Canadian wilderness. While the countries share a border, they boast different landscapes, so Cliff and Matt investigate the Canadian bush while Bobo and Ranae scour their home turf for evidence. · Maine, Sunday, January 10, at 10 PM: A cornucopia of bigfoot artifacts exists in the Pine Tree State, so the team takes its first trip to Maine and heads deep into the woods to learn more within this east-coast squatching haven. · New Hampshire, Sunday, January 17, at 10 PM: In picturesque Mount Washington, concerned resort owners reach out to the team with a slew of reported sasquatch sightings gathered throughout many years. · Georgia, Sunday, January 24, at 10 PM: Military bases are some of the country’s most protected and secluded areas. In a top-secret sasquatch investigation, the team goes into full stealth mode and utilize tips from military members to investigate forests just off base. · Oregon, Sunday, January 31, at 10 PM: The team has been to Cliff’s home state before, but they never have explored beyond Cliff’s usual spots. The team takes a helicopter trip deep into the Oregon wilderness to one of the most remote locations in the show’s history. And, for the first time, the team employs drones with infrared cameras. FINDING BIGFOOT is produced for Animal Planet by Ping Pong Productions. Brad Kuhlman and Casey Brumels are executive producers for Ping Pong Productions. Keith Hoffman is executive producer and Sarah Russell is producer for Animal Planet. Watch the 10 best Finding Bigfoot clips of 2015! 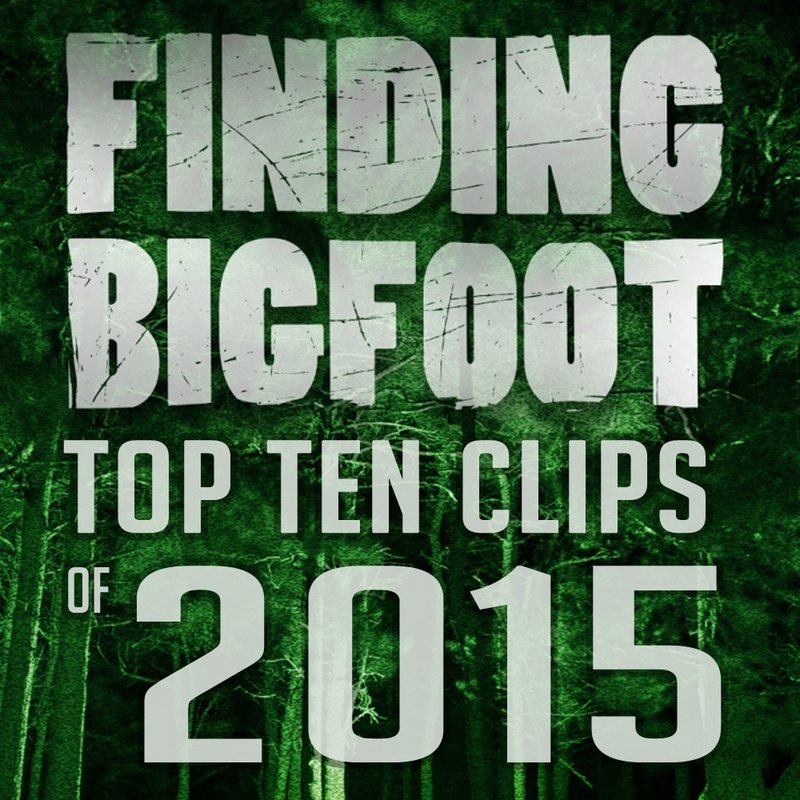 Animal Planet has picked the top ten video clips of Finding Bigfoot from 2015. Check out the picks below and let us know if you agree. While in Florida, video evidence of a supposed Bigfoot was shared with the team, so they head to the area where it was filmed. While there, the witness describes the scene, which included dead and injured pigs everywhere. The team heads to Brazil and meets with Dr. David Oren, who is one of the only researchers known to study the mapinguari, the Amazonian equivalent of Bigfoot. While out with the Shaman, Ranae makes a few calls to the Mapiguari - and gets a warning. 05. THE TEAM SMELLS BAD, BUT DO THEY SMELL LIKE A SKUNK APE? The team puts on skunk oil and breaks up to travel areas in Myakka Park. While out, each team separately hears knocks, leading them to believe they've found a great area. Cliff, Ranae, and Bobo travel to meet with Ben Dupont, a local witness who says he has seen a female Caddo-Critter. Ben's testimony provides the team with an excellent account of Bigfoots in the area. 07. WHERE DID YOU LEARN TO PLAY THE FIDDLE? For the final night investigation, the team takes advantage of the acoustics in the Ozarks and recruit the skills of Shoji Tabuchi, a legendary fiddle play in Branson, MO,, to see if they can lure out a Bigfoot. Out on the final night investigation with Jeff Stewart, the team tries several different calls to attract Sasquatches. 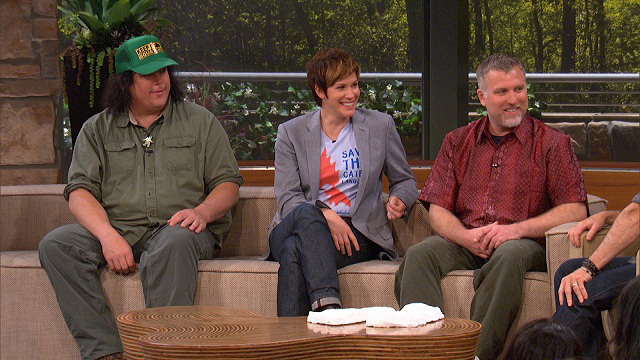 Cliff, Ranae, and Matt meet with a local witness whose encounter with a bigfoot has made him a true believer. The team travel to upstate New York where they get a history lesson from Paul Bartholomew about Bigfoot incidents in the area in order to understand more current sightings. 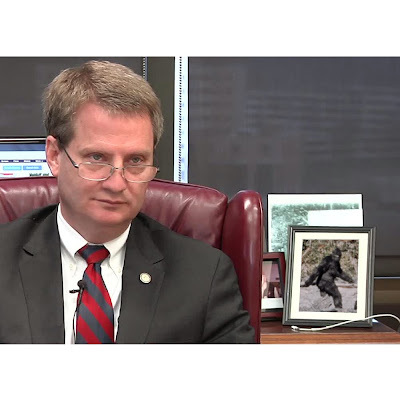 Knox News reports on Finding Bigfoot's return to Knox County, Tennessee. When Animal Planet's hit TV show aired the first visit to Tennessee it became one of the highest rated episode internationally. Read an excerpt below to find out what makes Knox County and the Mayor so nice they had to visit twice. The episode chronicling their second visit to Tennessee aired this past Sunday, and the mayor is featured prominently in scenes at a “town-hall meeting” they held at the American Museum of Science and Energy in Oak Ridge. He first connected with the show’s producers a few years ago through local Bigfoot enthusiasts. 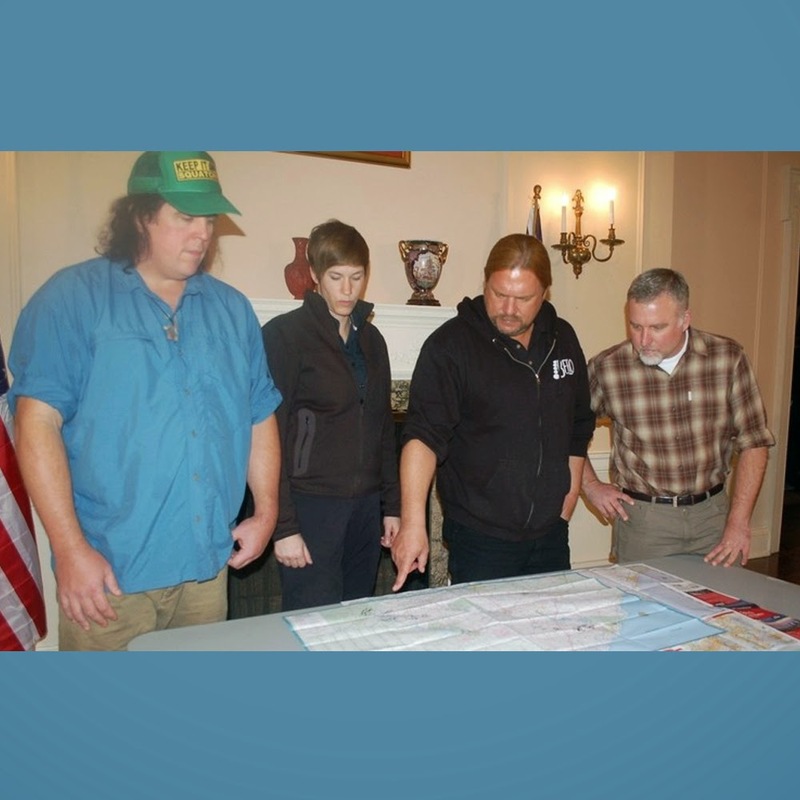 “Finding Bigfoot” cast and crew returned last September and filmed at various area locations, including ASME, Frozen Head State Park, and some scenic rural farm lands. The show’s images of the attractions and scenery of East Tennessee are actually of keener interest to Burchett than whether or not they locate a Bigfoot. Tonight's episode of Finding Bigfoot visits Minnesota to examine photos of unusually large footprints taken by the manager of a rural resort, so they set up a home base in a nearby cabin and install surveillance cameras. It all started last winter, when the owner of Maple Ridge Resort in Bigfork, Lyle Enger, heard noises outside at the resort. He let the dogs out, but they came right back in, looking spooked. So Enger went outside to investigate, armed only with a flashlight. After telling a friend about what he had seen, he contacted Bigfoot Field Researchers Organization (BFRO). From there he was contacted by a representative of “Finding Bigfoot” to let him know that they would be coming to northern Minnesota because of his testimony. Click the following link to read the entire Herald Review article titled, "Animal Planet series to feature Bigfork resort"
Filming for the seventh season of Animal Planet's Finding Bigfoot begins in South Carolina. The Aiken Standard reports, "During the filming of a town-hall meeting segment for a future episode that will focus on the Palmetto State, 14 people stood up in the ballroom of the Aiken County Historical Museum and talked about their strange experiences." 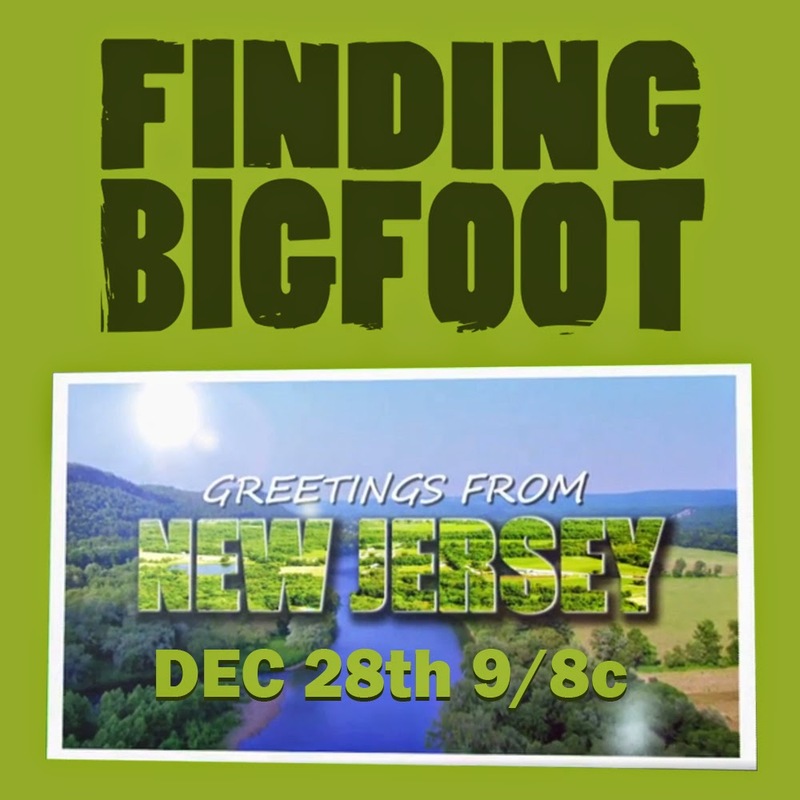 There are three things to watch out for in tonight's two-hour Finding Bigfoot episode; one, the team returns to New Jersey with Director/Comedian Bobcat Goldthwait, two, a bonus 30 minutes of behind the scenes footage, and three, if the teasers are to be believed, Bobo remarks on a a broad daylight sighting of a Sasquatch. In the press release tonight's episode title was "Bobo, Bobcat and the Big Red Eye", it is listed on programming guides as "Squatchers Take New Jersey"
New Jersey: The team heads back to the Garden State to investigate "Big Red Eye," a nickname for sasquatches in New Jersey. Many are surprised by the large amount of sasquatch activity that occurs in this Mid-Atlantic state, and this time, they have a secret weapon: bigfoot enthusiast and legendary comedian Bobcat Goldthwait (Police Academy Franchise, Scrooged). The team hopes that Bobcat's iconic yell can help attract "Big Red Eye." Bobcat Goldthwait is also the Director/Writer of found footage Bigfoot movie Willow Creek. Fans, you know we have been hinting at Bobcat's Bigfoot movie for years. In our post "Bobcat Goldthwait Spends 3 Days Looking for Bigfoot" we combined snippet of interviews dating back to 2009 for clues. Then we posted, "Bobcat Goldthwait Completes His Faith, Religion, Bigfoot Movie" to alert you when it was complete. Click the following link to get our complete Bobcat Goldthwait Bigfoot Coverage. If your like us, you are also excited about the 30 minutes of bonus footage! According to Matt Moneymaker, "We did a special behind-the-scenes half-hour spot for the Sussex County episode and Bobcat Goldthwait's movie,"
According to Moneymaker, there are also rumors that Animal Planet acquired rights to Willow Creek and may broadcast the hour-long movie. We are looking forward to the return to New Jersey, Bobcat Goldthwaits appearance and whatever Bobo see in the promo for the show. Tune in tonight at 9PM Eastern and Pacific and at 8PM central. 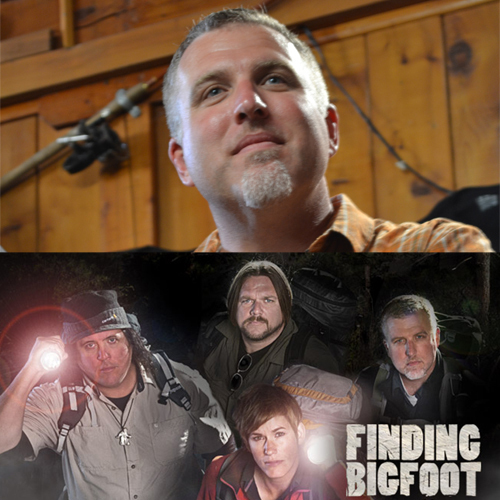 On Sunday, November 9, at 9 PM (ET/PT), FINDING BIGFOOT returns with a special two-hour episode that takes Bigfoot Field Research Organization (BFRO) president Matt Moneymaker, researchers James "Bobo" Fay and Cliff Barackman and skeptical scientist Ranae Holland off to the wilds of Alaska. Reports of colossal-sized sasquatches draw the team into a vast wilderness in America's largest state. Eyewitnesses claim to have seen a bigfoot taller than 12 feet, one of the largest reported sasquatch ever. Tennessee: This southern state has a rich history of sasquatch sightings and government officials who are bigfoot believers. So it's no surprise that the team from FINDING BIGFOOT heads to this state to attempt to set a record for most people participating in a search for sasquatch. With a huge turnout expected, can the added manpower help the team close in on the elusive creature? Additionally, the team returns to Idaho, Pennsylvania, Minnesota and Ohio. 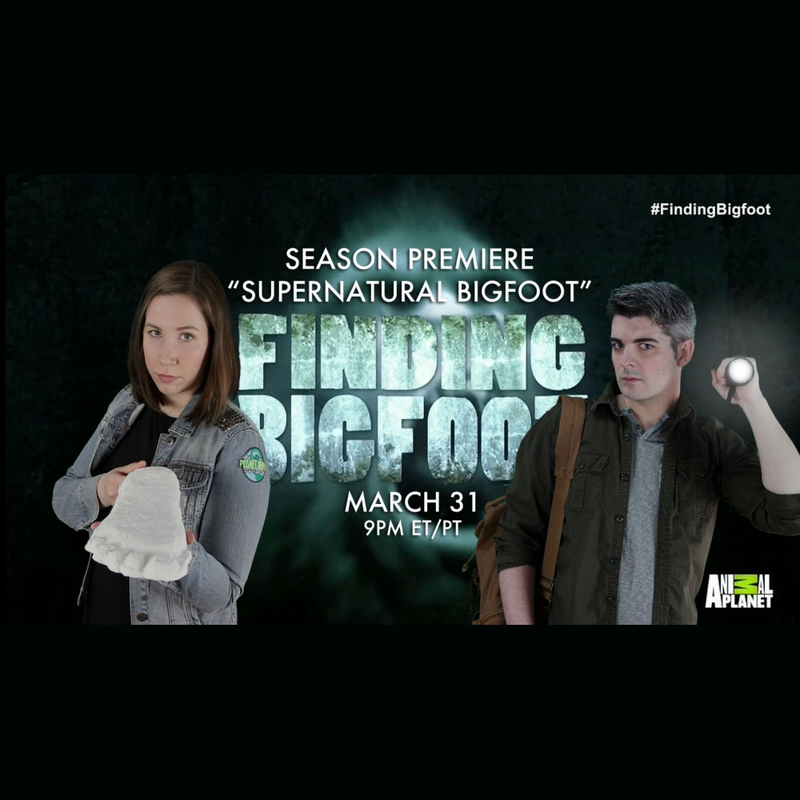 FINDING BIGFOOT is produced for Animal Planet by Ping Pong Productions. Keith Hoffman is the executive producer, and Hilary Tholen is associate producer for Animal Planet. Brad Kuhlman and Casey Brumels are the executive producers, and Chad Hammel is the co-executive producer for Ping Pong Productions. Before I begin, I think it is important that I cover all the caveats. 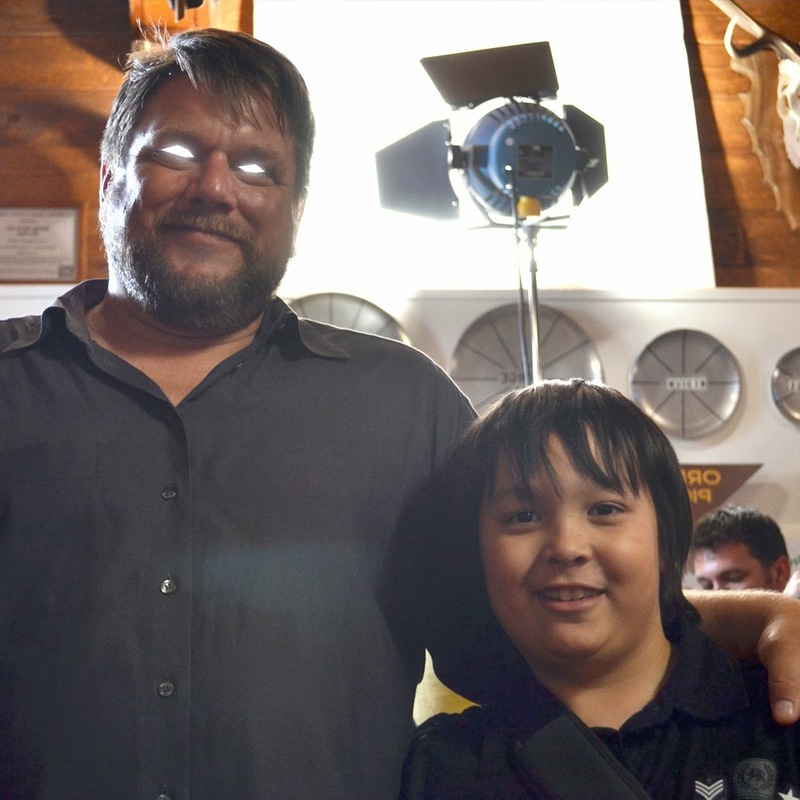 I like Matt Moneymaker, my nephew really wanted to meet him while he was at the filming site of a Finding Bigfoot episode. During all the chaos of producers, lighting checks, sound checks and other fans, Matt Moneymaker gave his undivided attention and time to my nephew. He didn't jump back in to the fray of TV making until he had a good chat with him. I also think it easy to take for granted the contributions Matt Moneymaker has made to Sasquatch field research. This doesn't change that his larger than life personality makes for an easy target in the twitterverse. And, of course it doesn't mean I have to agree with every theory he has. Cue the video. Read some of the choice twitter reactions, including ones from Cliff Barackman, Ranae Holland and James Bobo Fay below. Did @MattMoneymaker1 suggest BF's can create their own bio luminescence? They use it to communicate to boot! #FindingBigfoot? “@M_Crowd93: Mammals do not have bioluminescent organs and cannot produce their own light. #FindingBigfoot”that comment threw everyone. Most of us know eye-shine and bioluminescence are two different things. We have a great explanation for bigfoot eye-shine, or at least how eye-shine works for most mammals (spoiler alert: Its caused by the tapetum lucidum). Bioluminescence, as Animal Planet clearly pointed out in the above tweet is usually reserved for deep water creatures and some fungi. What do you think about Bigfoot eyeshine? Or Matt's theory? Please leave some comments below. Tonight's episode of 10 Million Dollar Bigfoot Bounty challenges the contestants to get Bigfoot footage. The teams to watch tonight will be The Sasquatch Hunters (Stacy and Dave) and Matt and Julie. Both teams should be positioned well due to their respective experience and talents. In fact, we will tell you why. First The Sasquatch Hunters, Stacy and Dave, already have decent Bigfoot footage. Its aptly named the Brown Footage. In May of 2012 Stacy Brown Sr. and Jr. set up camp in the panhandle of Florida around the town of Quincy. "While the results of my calculations are only approximations of the creature’s size, it is clear that the figure is very large. It seems to stand somewhere around 8.5 feet tall, and have a shoulder width of about 4 feet. The creature is simply too big to be a human, and the steps are ridiculously long." So for the Sasquatch Hunters, Stacy and Dave, this is old hat. I wouldn't count out Matt and Julie. Filming big animals in the wild is Matt's day job. His resume is impressive if you read Matt and Julie's bio on Spike Tv's 10 Million Dollar Bigfoot Bounty Website. 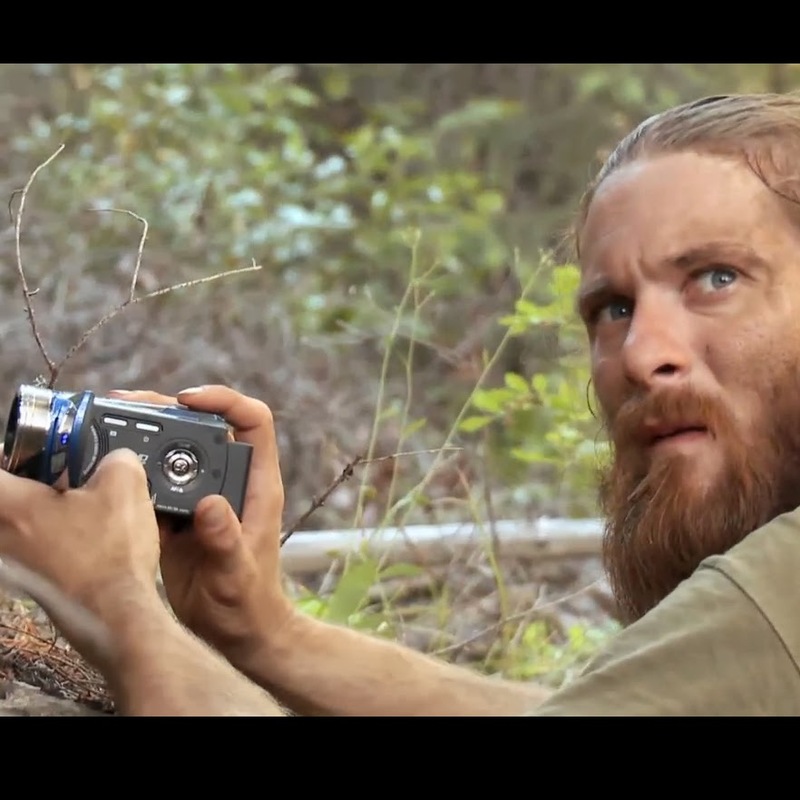 Matt Carman works as a cinematographer for a top hunting and safari show. Carman is a seasoned pro and has hunted just about everything, including: bears, elk, buffalo, hippos, zebras and rhinos. Carman also claims to have super vision and, with his naked eye, can see a deer move from two miles away. He knows what to look for in remote locations and has been upwards of 500 miles out in the woods. Watch the clip below as the two teams that seem best positioned for this challenge cross paths. The 10 Million Bigfoot Bounty features multiple teams competing to unearth real evidence of Bigfoot’s existence. You can catch it on Spike TV at 10/9 Central. What did you think of the second episode? Was it better or worse than the premier? Let us know in the comments below. Starting tonight at 9pm PST Cliff Barackman will live tweet during Finding Bigfoot's Nepal Episode. We also have twitter feeds from the other cast in case they decide to join the nest and tweet as well. Bigfoot Lunch Club with also be a bird of the feather and flock during the episode too. So join the peeps while we tweet our tweets below. You also have permission to stop groaning at all the bird references. Save the date!!! This Wednesday, August 14th 2013 you can meet cast members of the hit show ‘Finding Bigfoot’! 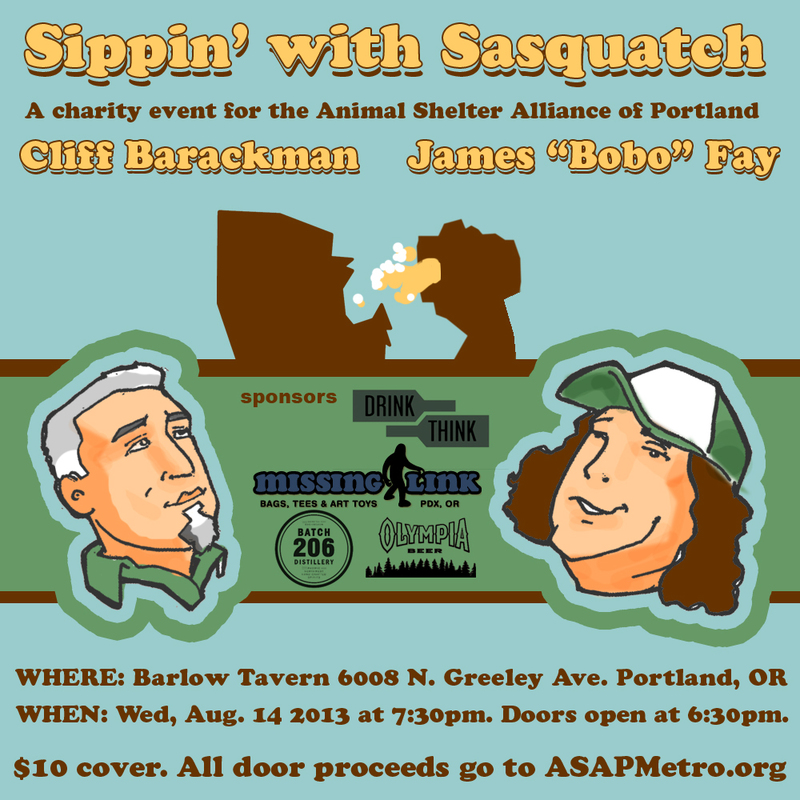 Cliff Barackman and James “Bobo” Fay will be on hand to sign autographs and talk Squatch! WHAT: Sippin’ with Sasquatch featuring Cliff Barackman and James “Bobo” Fay! WHEN: Wednesday, August 14 2013 at 7:30pm. Doors open at 6:30pm. SPONSORED BY: The Barlow Tavern, Batch 206 Distillery’s ‘Counter Gin’, Olympia Beer, Drink Think and Missing Link Toys. RESTRICTIONS: 21 years of age and older only. ID required. Come enjoy a fun-filled evening with the cast members of the hit show ‘Finding Bigfoot’! Cliff Barackman and James “Bobo” Faey will be on hand to sign autographs, take pictures and discuss all things sasquatch. The Barlow Tavern will have Bigfoot themed drink and food specials on hand and Lady She Buckaroo will be spinning hits on the turntables. There may even be a special guest or two! This is a great opportunity for fans of the show or Bigfoot to meet with the cast in an intimate, informal setting. abandoned or unwanted cats and dogs. This event is sponsored by generous contributions from the Barlow Tavern, Batch 206 Distillery, Olympia Beer and Drink Think. Space is limited and the event is anticipated to sell out. Tickets MAY NOT be purchased in advance. arrive early. Ticket sales and doors open at 6:30pm. There is no early admittance. This event is not affiliated with Animal Planet, Discovery Networks or any of their subsidiaries. Finding Bigfoot Wants Your Skamania and Klickitat County Bigfoot Stories!!! The producers of Animal Planet's popular TV show Finding Bigfoot are planning a town hall in Washington State and they want YOUR stories! 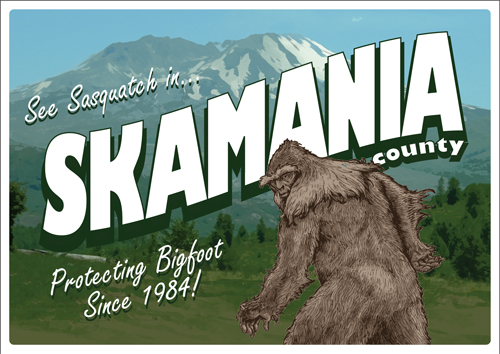 As you may know Skamania County is the first local government to acknowledge and sign laws to protect Sasquatch. Read the ordinances protecting Bigfoot. Animal Planet’s hit show “Finding Bigfoot” is coming to Skamania and Klickitat counties! Skamania county is one of the ‘squatchiest’ places in the world and the “Finding Bigfoot” investigative team; Matt Moneymaker, Cliff Barakman, James “Bobo” Fey and Ranae Holland; are coming to listen to the stories, examine the evidence and determine once and for all if Bigfoot really calls the Northwest home! The team is looking for YOUR stories of encounters with Sasquatch in Skamania, Klickitat or surrounding areas. Sightings? Strange noises? Tracks? Wood knocks? We want to hear it all! Tell us your Bigfoot story and you may be invited to share it with the team at our Washington town hall on Wednesday, August 7 2013. David Miraglia (pictured left) is a sound designer. He specialize in all aspects of Post Production Audio including: Dialog editing, Music editing, Sound effects editing, as well as Mixing. He has worked on multiple films and TV shows including Destination Truth and, of course, Finding Bigfoot. On May 7th Mr. Miraglia uploaded the first act of the Vietnam episode of Finding Bigfoot. This is Season 3 Episode 22 titled. "Vietnam: The Heart of Squatchness" and first aired on March 31, 2013. A ten minute segment from the episode was submitted for consideration as a 2012/13 Sound Editing Non Fiction Emmy Nominee. 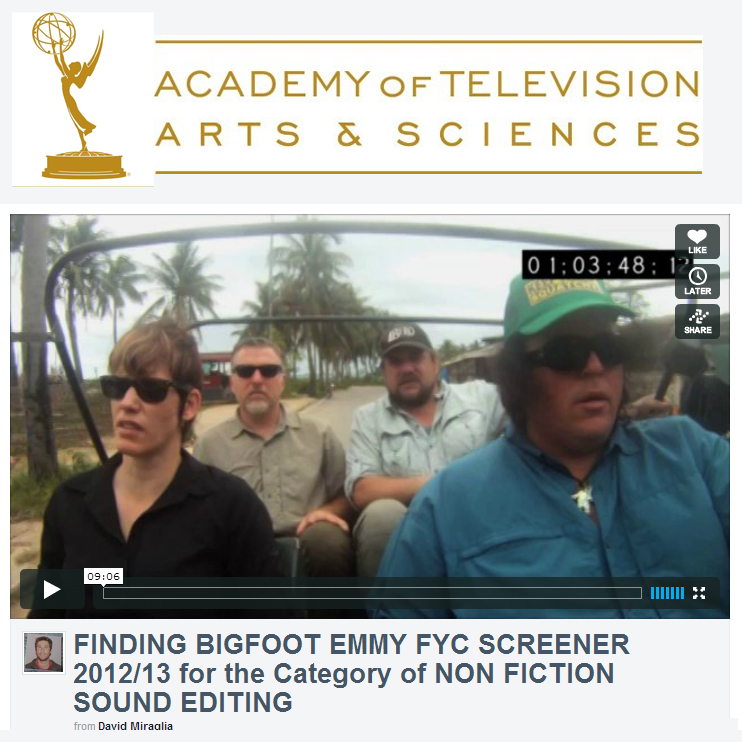 FINDING BIGFOOT EMMY FYC SCREENER 2012/13 for the Category of NON FICTION SOUND EDITING from David Miraglia on Vimeo. This is the first act of the Vietnam: Heart of Squachness episode that has been submitted for consideration as a 2012/13 Sound Editing Non Fiction Emmy Nominee. Watch another uploaded video by David Miraglia. 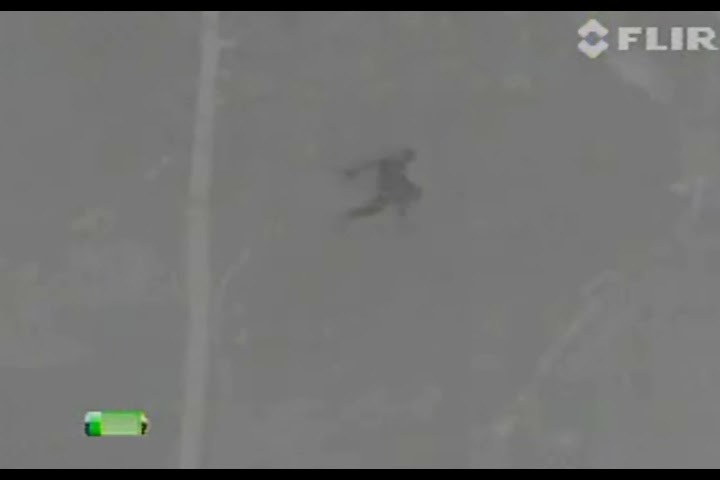 After watching the news packet covering the Finding Bigfoot investigation of the thermal video recorded in New Mexico, you can read the report that was posted on the website. ALBUQUREQUE (KRQE) - The Valles Caldera is an enormous volcanic crater in the Jemez Mountains in northern New Mexico, known for its elk herds. Now the area is getting attention for what else may be living there. According to some field researchers, the area has perfect living conditions for Bigfoot. They even provide proof, a video that brought investigators from the Finding Bigfoot TV series , that airs on Animal Planet, to New Mexico. On an episode of Finding Bigfoot, the team from the Bigfoot Field Researchers Organization heads to the Jemez Mountains in northern New Mexico. The BFRO came to New Mexico late last year after a thermal video was taken in 2011 by another man on an expedition to find Bigfoot. Now, the team is trying to figure out the size of the image to make sure it's not just another camper by comparing it to a picture of Bobo, one of their researchers, who is standing in the same place. 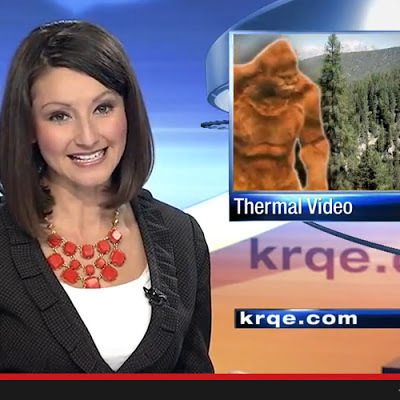 It is not just the video that has the team convinced Bigfoot lives in northern New Mexico. In 2008 a KRQE News 13 reporter followed another Bigfoot hunter, Tom Biscardi, who's been on the creature's trail for 40 years. He has been looking for signs of the hairy beast all across the four corners area where there have been dozens of Bigfoot sightings since 1998. Biscardi pointed out to us then what he thought were Bigfoot’s footprints near Farmington. “I saw a tall, dark, broad figure, and it just walked right up against the truck," a New Mexico resident said, "I want to get out of here now." The BFRO heard more stories from New Mexicans during a town hall meeting they held in Jemez Springs during their visit. ”I woke up in the middle of the night, went to get out of the bed. My window faces this way, and there was something in my window. It didn't have a neck at all,” another resident said. Despite this evidence, Ben Radford, managing editor of Skeptical Inquirer Magazine, told KRQE News 13 in 2008 there is still a huge hole in the Bigfoot theory. ”If the creatures are out there they have to die somewhere why hasn't anyone found them?” Radford said. Fans, when the mainstream media's industrial entertainment complex needs to get the word out they rely on Bigfoot Lunch Club. Whether it is an upcoming movie, a new Jack Link's commercial or the Jeff Probst show featuring the cast of Finding Bigfoot, they need the Bigfoot bully pulpit known as Bigfoot Lunch Club. And fans, we oblige. We already mentioned there may be a debate with Ranae and Jeff Probst on one side and Bobo and Cliff on the other regarding Bigfoot proof. (read: Jeff Probst Interviews Finding Bigfoot Cast). It looks like, based on the video preview that they have a lot of fun too! Do you work during the day? Set you DVRs! with this nifty Jeff Probst Show Finder. Select your state and it will tell you where to find the Jeff Probst Show. Bigfoot doing what Bigfoot does best, tree peaking. On the truTV website, Norma Lee Jennings suggests that we are close to finding Bigfoot. So close we can attribute the finders to 5 people/groups. Below are the Top 5 Reasons Bigfoot will be found soon and the reasoning behind the picks--at least according to truTV. What makes Ms. Ketchum’s project unique is the amount of faith she has in her findings. She even submitted her paper to a peer-reviewed scientific journal. Unfortunately for the advancement of cryptozoology, “Novel North American Hominins: Next Generation Sequencing of Three Whole Genomes and Associated Studies” was not accepted to any journal. In order to track the elusive creature and record his actions in his natural environment, Meldrum is looking for $300,000 to fund the purchase of a blimp onto which he intends to attach thermal imaging devices. The blimp will then be launched over the Blue Mountains and other parts of Idaho’s wilderness. Professor Meldrum is eager to find Bigfoot, but won’t believe in its existence until he has conclusive proof. Lomurno wants to draw attention to the grueling nature of authentic Bigfoot research – when she is in the field, she goes out all day to look for signs of something large in the area. “That [first] night, you do your night surveillance. You can’t get into your tent and go to sleep at 11pm,” she says. Their website says that one of the best ways to get over the fear of a possible Bigfoot encounter is to look for him in a group. Apparently this strategy has been working, as former participants have testified that they saw footprints or heard calls during their trips. This summer, are some big expeditions is planned for British Columbia that may prove fruitful. 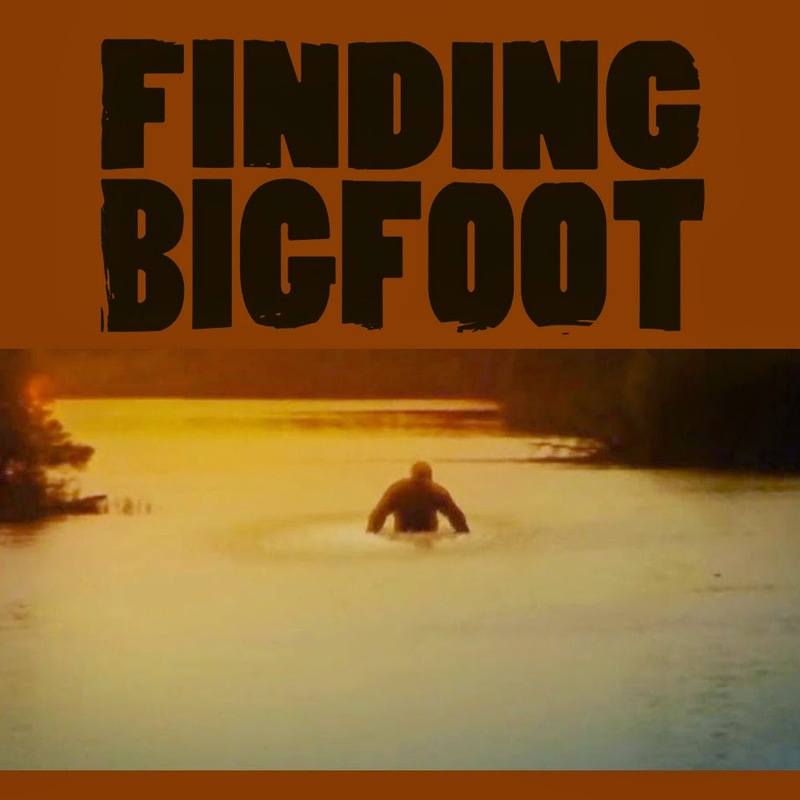 The series Finding Bigfoot has served as a spark for reigniting the popular imagination about Bigfoot’s existence. This show follows the work of renowned BFRO researchers as they travel around the U.S. and across the globe to investigate any cryptid hominid sightings. It is kind of curious how Norma Lee Jennings came up with this list. As far as we know the Sharon Lee Kickstarter campaign is now defunct. You can read her full explanation at the truTV blog. This Thursday (Mar 21st 2013) you will see 3/4ths of the cast from Finding Bigfoot. According to our sources, the conversation gets a little heated when Jeff Probst pushes back against the cast regarding lack of Bigfoot proof. James "Bobo" Fay, Cliff Barackman and Ranae Holland, stars of the hit Animal Planet show "Finding Bigfoot," talk to Jeff about their quest to find one of the world's most mysterious creatures. They share some of the greatest adventures they've had looking for Bigfoot around the world, react to criticism from skeptics, and teach Jeff some of their favorite Bigfoot tracking techniques. Plus, special guest Yvette Nicole Brown (NBC's "Community") joins Jeff for a chat. And, two contestants try to distinguish truth from lies in the game "Who's Right?" In case you work during the day, you can watch full episodes after they air here. UPDATE: The Jeff Probst Show provided Bigfoot Lunch Club with a teaser trailer for Thursday's Finding Bigfoot clip. 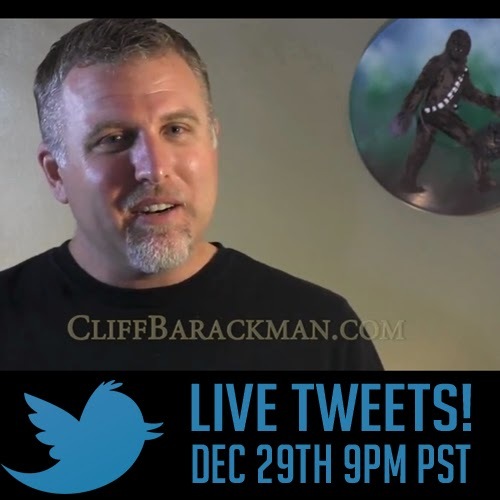 Cliff Barackman (pronounced bear-eck-man) will be speaking in Vancouver, Washington at an event sponsored by the Mount St. Helens Institute's Volcano Views and Brews Events. This monthly event started in 2008, it is a popular lecture series about the great outdoors. Fascinating topics, lively speakers as well as excellent food and libations make for an enjoyable and horizon-widening evening. Tomorrow, February 12, 2013, Cliff Barackman's presentation will be a brief analysis of the best photos, videos, footprints, and vocalizations captured so far, as well as prospects for gathering more data. Data from around Gifford Pinchot will be included. My presentation will cover some of the most compelling reasons why I believe bigfoots are a real species. Topics will include video footage, photographs, vocalizations, and detailed analysis of footprint evidence, including the London prints. I will bring several of the original London casts, as well as a variety of other casts from my collection. Some specimens will be available for sale. You should show up before 6:00, because that is when Happy Hour ends, Cliff speaks at 6:30. We hope to see you at Tommy O’s Pacific Rim Bistro - 801 Washington St, Vancouver, WA. Directions to Tommy O's in the map below. Bigfoot Lunch Club is the best bigfoot website for Bigfoot News and research for the Sasquatch and Yeti enthusiast. Launched in 2007, BLC has provided all types of Bigfoot news; Bigfoot DNA, Bigfoot pictures, Bigfoot videos and has kept an overall pulse on Bigfoot in pop culture. We even have bigfoot tshirts! Once in a while we will even throw in some Bigfoot history. In an effort to explore the mysteries of our world and provide insights into ourselves, Bigfoot Lunch Club will leave no stone unturned in our pursuit of the truth concerning Bigfoot. We believe in truly open minds that are not afraid to question both the assumptions of science and the dogma of fanatics. Most importantly, we believe in a world bigger than the sum of our present knowledge that still holds mystery, wonder, and a place for a creature called Bigfoot. (C) 2015 BigfootLunchClub.com: The best bigfoot website for bigfoot news and bigfoot research. Powered by Blogger.